This idea might seem silly, and it probably is in most cases. 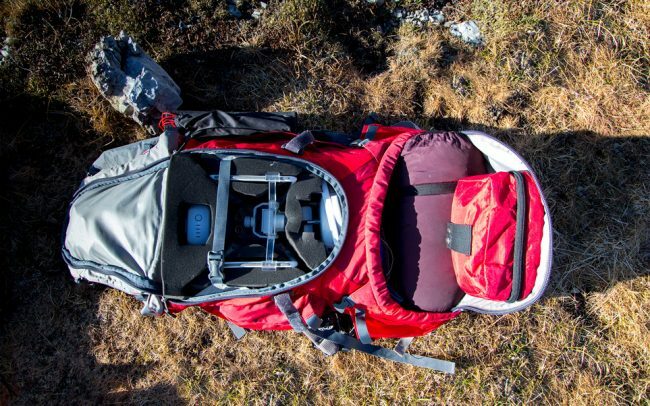 However, sometimes we want to bring our ridiculously massive Phantom on multi-day hikes. 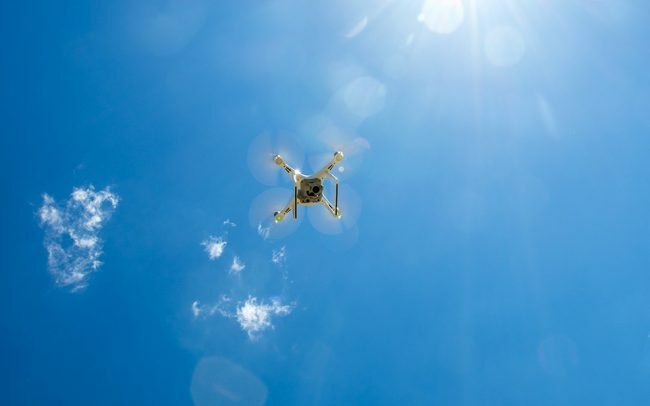 We own a smaller drone that is more appropriate to carry around, but the footage is just not as great. If you are looking for a similar solution to make a (cheap) custom-made drone case that fits, check out our DIY. 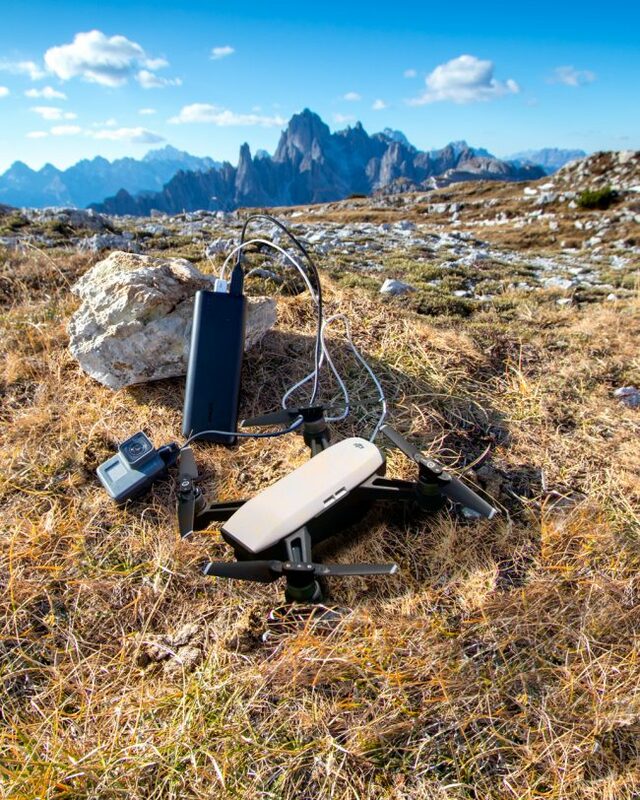 We used a professional hot wire cutter to built our backpacking drone case. You could also use a Stanley knife or an electric bread knife. Make sure to test the glue on a small piece before gluing everything together. Some adhesives can etch the foam, ensure the two materials are not reacting to each other. 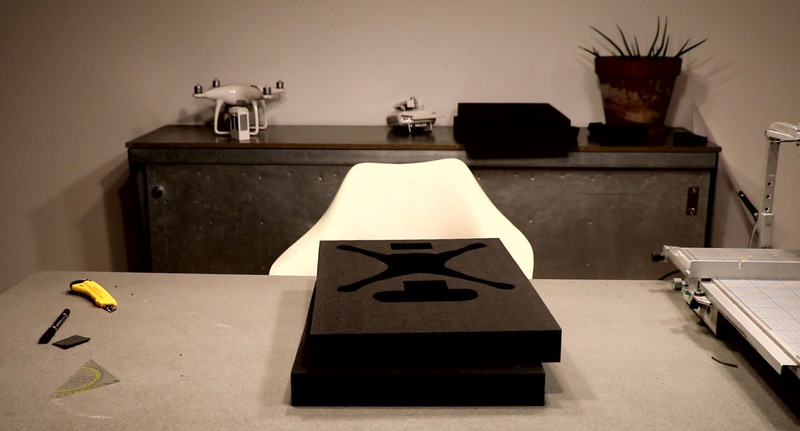 First, you have to arrange the drone on the foam, make sure that there is at least 1/2 inch of foam at each side. 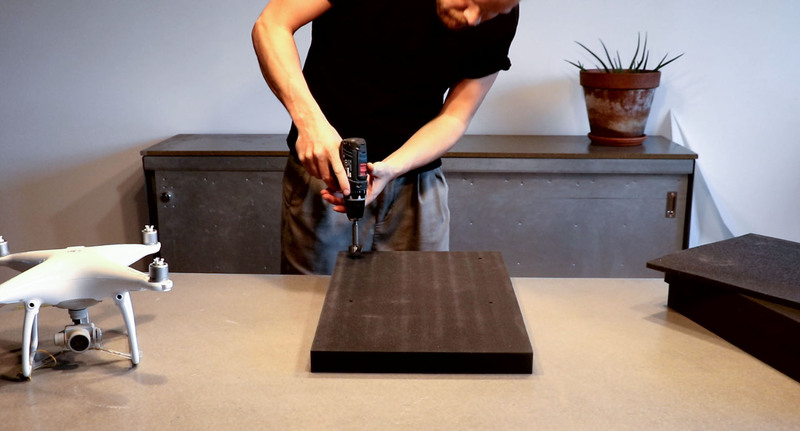 Mark the Propeller Motor on the foam, with the Forstner drill you can quickly drill four perfect holes into the foam. Place the drone into the previously on the foam drilled holes. 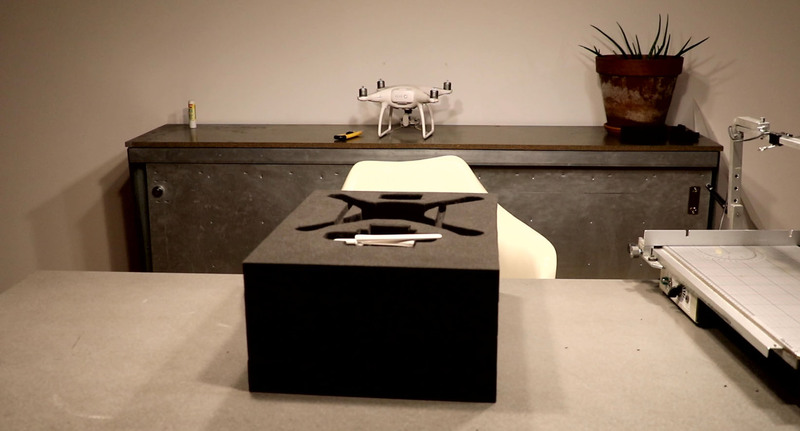 Take a tracing pen and mark the outlines of the drone onto the foam. 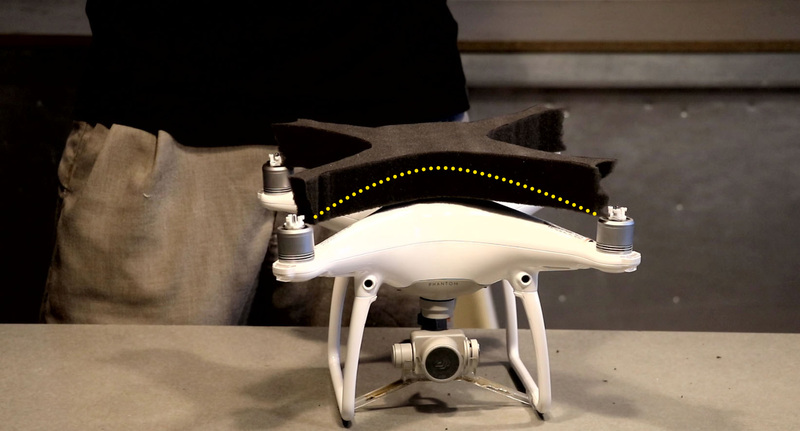 The foam can be compressed later, so a tight fit will help to protect the drone in your backpack. 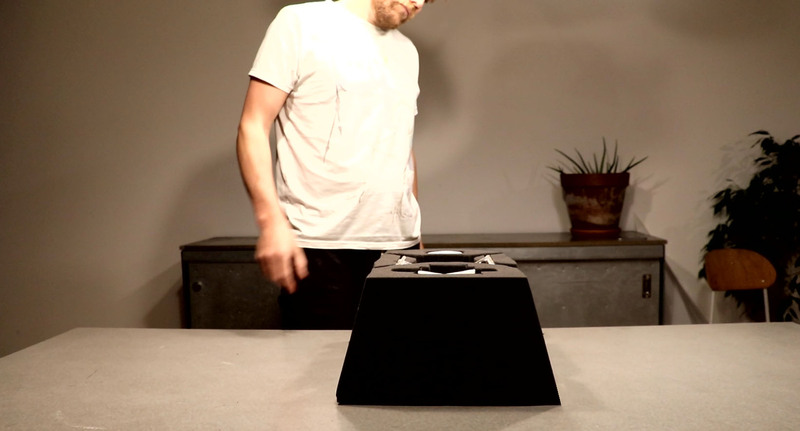 For this step, you can also use a Stanley knife or an electric bread knife. 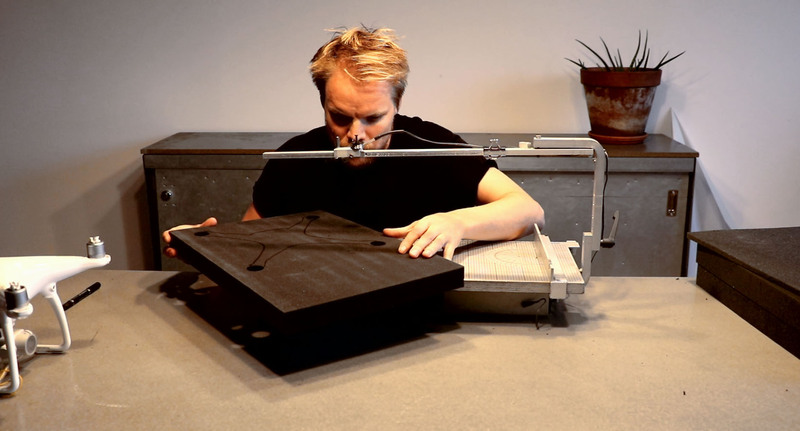 If you are using a hot wire foam cutter, the cuts will be more accurate. Take a knife and cut small holes into the foam, use these holes for the wire of the hot wire cutter and start cutting. Don’t throw away the middle piece; you will need it for the next step. This step is optional but can be vital to ensure a better fit and even more protection of your preciouse drone. Use the cut out-piece and place it on your drone. 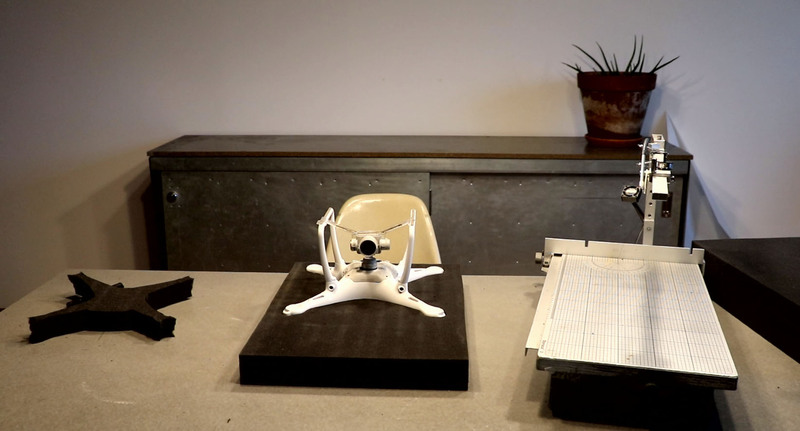 Draw a line which matches the outline of the upper part of the drone, repeat this on each side and start cutting. 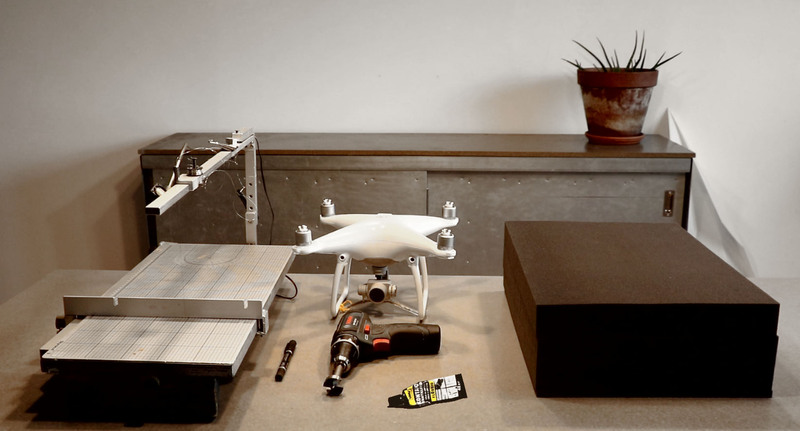 You will glue this foam part into the finished drone case, when you are done with cutting. So the supporting surface will increase. Place the foam piece which you cut in step 3 onto a new foam layer, trace the outline onto it and start cutting once more. 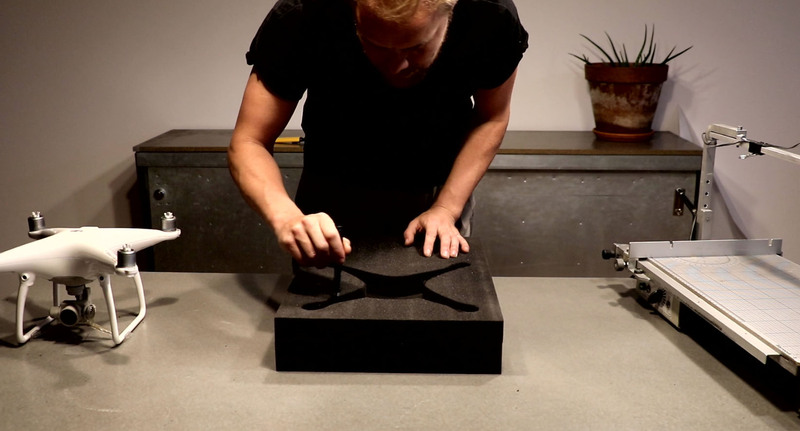 Repeat this step until your drone is covered and well protected in foam. After gluing everything together, you have to wait a couple of minutes until the glue dries. During the final step, you need to cut the edges of the nearly finished drone case, to make it fit into your backpack. Make sure to leave enough space on the sides. The foam can be compressed later, don’t cut off too much. After glueing everything together you have to wait a couple of minutes until the glue dries. 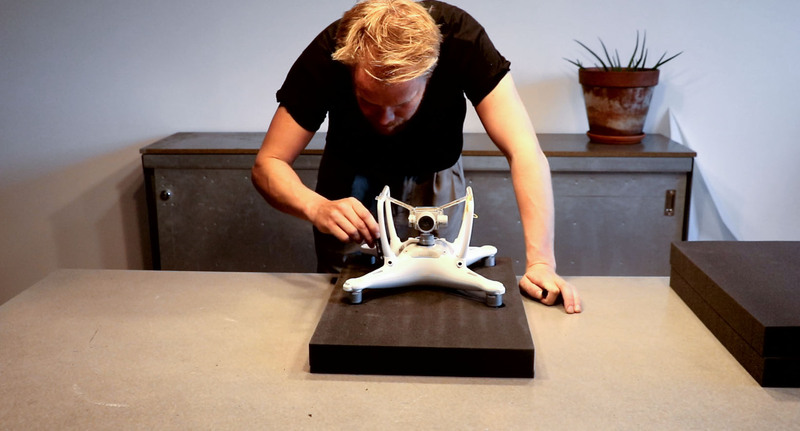 During the final step you need to cut the edges of the nearly finished drone case, to make it fit into your backpack. Make sure to leave enough space on the sides. The Foam can be compressed later, don’t cut off too much.